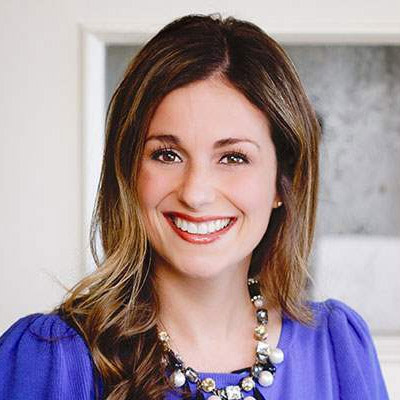 TBH Creative was hired to develop a new web site for RJE Business Interior's new location in Cincinnati. The base layout of the web site was taken from the Indianapolis web site and slightly modified for better use of space, placement of manufacturer links, and easy to read navigation text. We created completely new HTML mark up to eliminate the use of images for text and increase search engine optimization -- as well as make future web updates easier. Visit the web site to learn more RJE Cincinnati. 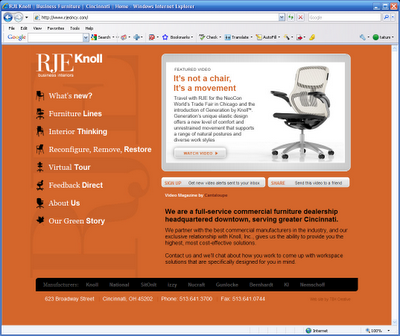 About RJE Business Interiors in Cincinnati RJE is an established team of professionals with expertise of the Midwest’s largest Knoll dealership. They offer beautiful and highly functional office furniture that makes businesses and organizations more productive—and cool. To learn more about TBH Creative's web site services, contact us today. We specialize in recoding table-based web sites into clean code that uses CSS for layout and is validated for Strict compliance.